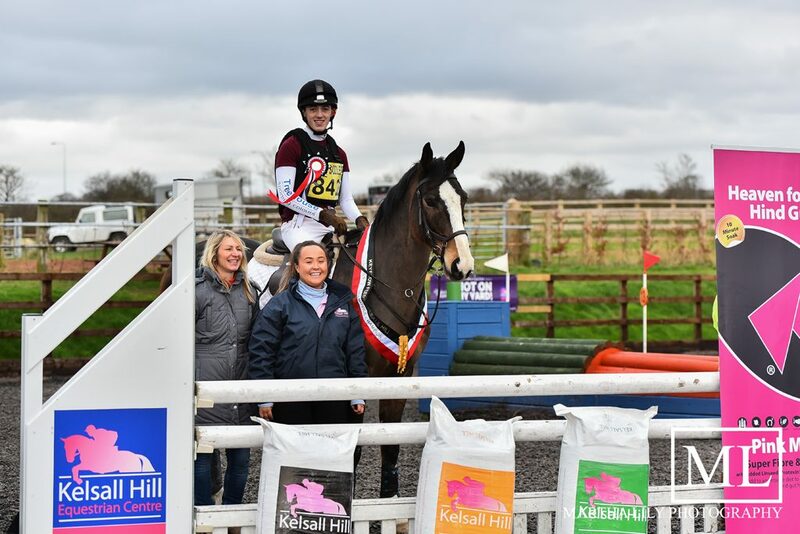 Riders from across the North-West region gathered in force at Kelsall Hill Equestrian Centre to decide the outcome of the hotly-contested Keyflow UK Arena Eventing Championships. A record number of competitors visited the award-winning equestrian venue to try their hand over tracks designed by BS course builder Gillian Milner, with points being accumulated over a series of seven fixtures. An in-form Ben Read managed to retain his crown for the second year running in the Novice league with his 11-year-old gelding Dougal. “We can’t believe that lightning has struck twice and to be Novice champion again is incredibly rewarding!” said Ben, who plans to move up to BE Intermediate level this year. It was another case of déjà vu in the BE100 league when Kirsty Clarkson repeated her 2016 victory aboard the striking ‘Oliedunit’, preventing runners up Ben Read and Dougal from finishing double-handed. The duo will now focus on qualifying for this year’s Mitsubishi Motors Cup at BE100 level. 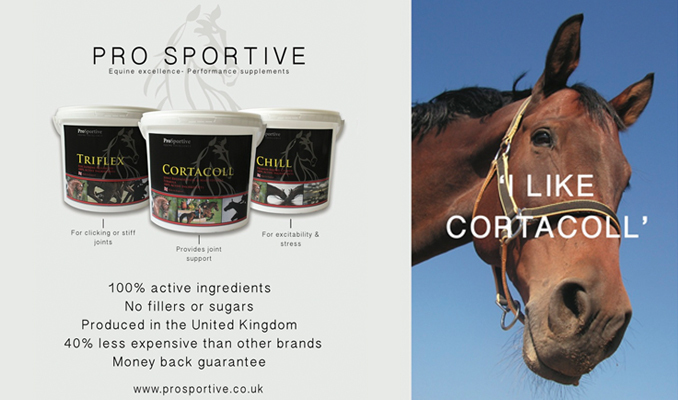 “We’re very proud to sponsor the Keyflow Feeds Kelsall Hill Arena Eventing Championships which is another great opportunity to support up and coming riders and future stars of the sport. At Keyflow, we believe in improving the long-term health and wellbeing of horses so they can look, feel and perform beyond expectation. Supporting great local events like this is all a part of that journey.” Cam W. Price, MD of Keyflow Feeds. Julie Lucy admits to there being an element of beginner’s luck behind her victory in the BE90 championships with her ‘horse of a lifetime’ Aimee. “We’re newcomers to Arena Eventing but I’ve discovered that Aimee has the perfect stride for it. 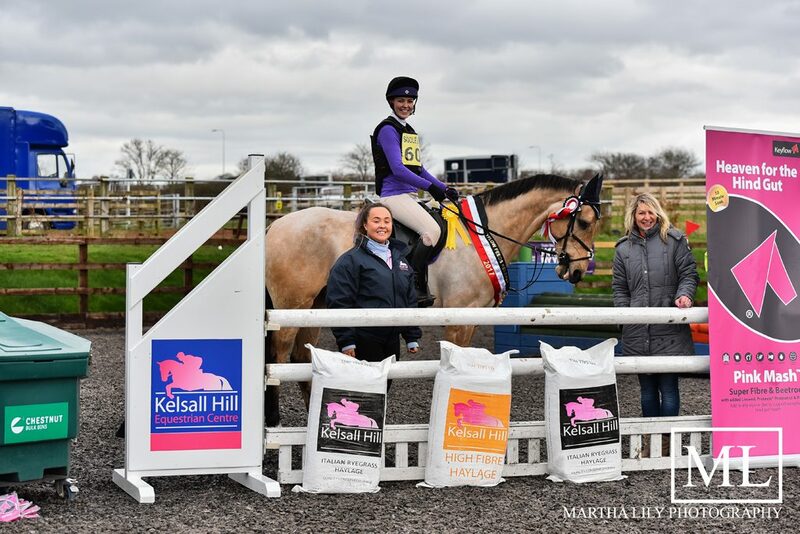 Thank you to the team at Kelsall Hill, this win has given me the confidence to pursue my dream of riding at their spring Horse Trials,” said Julie. 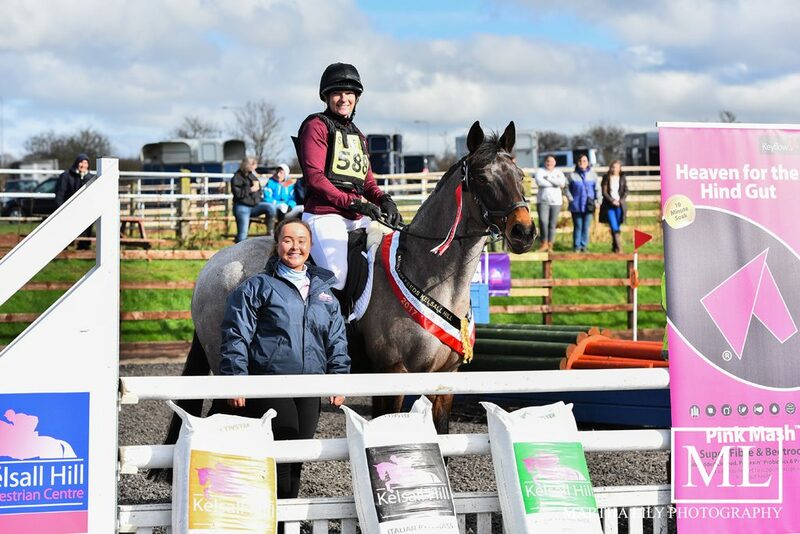 Keyflow Feeds BE90 Arena Eventing Champion, Julie Lucy riding Aimee and Meg Watson event organiser. It was 12-year-old Kiera Booth, who led the 50-strong BE80 league table from the outset with her ‘superstar pony’, ‘Gucci’. 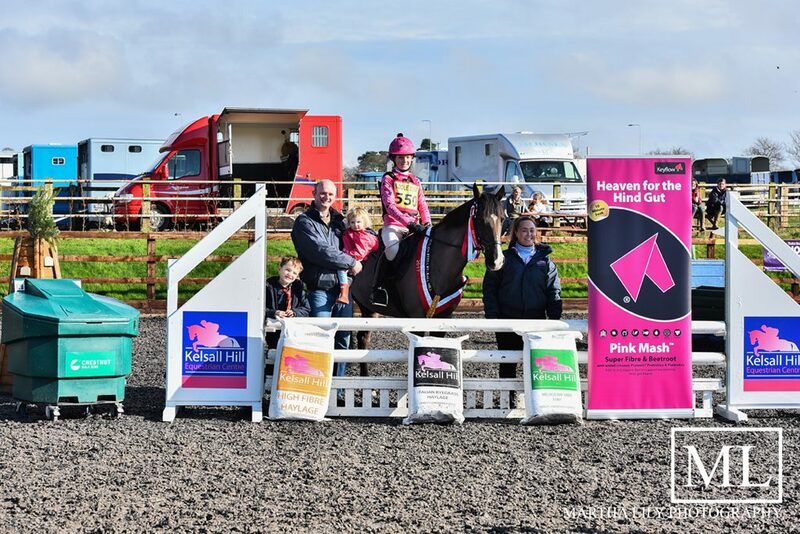 Keyflow Feeds BE80 Arena Eventing Champion, Kiera Booth riding Gucci, Phil Latham director and Owner, Meg Watson event organiser and Phil’s Children Sam and Daisy. Kelsall Hill were delighted to welcome new sponsors Keyflow Feeds, a company committed to redefining equine nutrition to optimise health and performance.